Welcome back! Today, I’m thrilled to feature the talented Salik Shah. 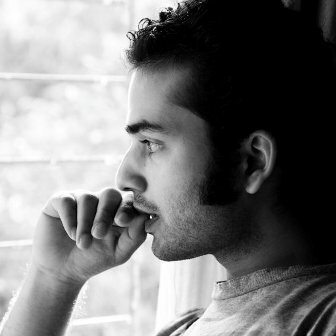 Salik is the editor and founder of Mithila Review as well as an accomplished fiction author, poet, filmmaker and reviewer. His work has appeared in Strange Horizons, Asimov’s Science Fiction, and New Myths, among other outlets. Recently, Salik and I discussed the genesis of Mithila Review as well as his future plans for writing, reviewing, and filmmaking. As a child, I fell in love with watercolors, and then came a flood of words at age eight. But I wouldn’t submit my poetry or fiction to literary publications until I was in my mid-twenties. Thomas Hardy, V.S. Naipaul, Gabriel García Márquez and Haruki Murakami were critical to my understanding of literature, and the vocation of writing. And I absolutely adore Cordwainer Smith, Ted Chiang and Kij Johnson. There are so many brilliant writers writing today, it’s impossible to list all their names. You are the editor and founder of Mithila Review. How did the idea for the publication originate, and what has been the most rewarding part so far of running Mithila Review? There was a persistent status quo of an arrogant majority, which I wanted to break with Mithila Review. The silence before MR was deafening! The most rewarding aspect of running a publication like Mithila Review is to be able to discover, nurture and support emerging, hidden and marginalized writers, poets and artists from around the world. I am grateful that we are able to host these alternative voices and forms of storytelling from different cultures. As an editor, what do you look for in the slush pile? Likewise, what tips do you have for writers who are eager to be published in Mithila Review? Please send us your best stories. As a new market in a part of the world where none exists, where nobody expects us to publish, we cannot afford to compromise on quality. The personal is always political. We seek to publish fiction, poetry and art that reveal, resist or address various forms of tyrannies. You are also a filmmaker. How did you first become involved with the world of cinema, and how, if at all, has your work as a filmmaker impacted your work as an author and fiction editor? I never saw film as a serious art form until I discovered Satyajit Ray, Ingmar Bergman and Akira Kurosawa about ten years ago or so when hi-speed Internet was a big deal (it still is in many part of the Indian subcontinent). I was 20-something when I first went to Bombay, full of crazy ideas and expectations. I’m still recovering from the massive culture shock—the Indian film crowd is very different (cynical and insecure) from what I encountered in old European books and documentaries! Once again, I took refuge in books of my favorite auteurs to learn about their life and struggles; I read Akira Kurosawa and Werner Herzog to survive feverish months—years—in a lonely city. Satyajit Ray stopped being just a filmmaker for me—he also became a chronicler of fantastic tales. (One of his short stories later germinated into Steven Spielberg’s E.T.) But it wasn’t until I read one of Ingmar Bergman’s screenplays that I finally understood what I needed to do apart from studying film: read fiction and work on my fiction-writing chops. I mean, Bergman didn’t write standard screenplays—he wrote screenplays as stories or novellas. Reading, writing and editing took more time than I expected. Sometimes I think it’s a miracle that I somehow survived all these years without making a proper feature or a short film. Every time I read a great story, I cannot stop wanting to adapt it onto film. These days I’m beginning to feel confident about my writing—fiction and poetry acceptances by editors you admire tend to have that effect. As I often cannibalize my film ideas for my short stories, and the other way round, I strongly feel the time has come for me to combine these two art forms. In addition to your work at Mithila and your filmmaking, you also review fiction at Strange Horizons. How did you first become involved with reviewing, and has it changed your own approach to writing in any way? I used to review films and books for my blog, plus a couple of film sites. Then I stopped because I was supposed to be working on my writing chops! Never mind that I listened to people who told me to do something rather than commenting, critiquing. When I read Indrapramit Das’s novel, I had to write about it. I love Indra’s short stories, but the book was a different monster altogether. I wrote a simple blog-like post and sent it to Strange Horizons, not really expecting it to get published. When it got accepted, I rewrote the whole thing to do justice to both the book and the review as a mode of in-depth criticism. And I didn’t mind the long hours and the thinking that went into it—it actually helped me to see the book in a new light. Honestly, I am grateful to Strange Horizons editors Dan Hartland and Maureen Kincaid Speller for every book review opportunity that has come my way. What are your goals as a writer, editor, and filmmaker over the next few years? 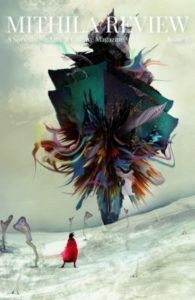 As an editor, I want to help young and diverse voices to enter speculative fiction and fantasy from around the world. We’re planning a couple of SF anthologies and translation projects apart from the regular quarterly issues of Mithila Review. It’s been a challenge to turn Mithila Review into a paying market, but we’re slowly getting there: http://patreon.com/mithilareview. As a writer and filmmaker, there is a lot of ground for me to cover. Money is always a problem, but I’m determined not to let it stop me. Hopefully, you can expect a novel or a feature film from me in another two-three years. We’re also trying to set up Mithila Awards to discover, nurture and reward excellent contributors to speculative fiction and film from Asian writers, artists and filmmakers. I’m considering turning more poetry and short stories into films—live action and animation—as part of Mithila Review. Apart from short films, I’m developing a couple of feature film projects and web series. There are always short stories to be written, revised or completed, and a book-length poetry project that has been pending for ages. All these small and big projects seem impossible, chaotic and difficult to manage at times, but I’m learning to prioritize and execute and execute well. You can find me on Twitter and Facebook. For occasional news and updates, there is my website. Many thanks for having me here! Cheers! Tremendous thanks to Salik Shah for being the featured author this week! This entry was posted in Fiction, Interviews and tagged Mithila Review on July 24, 2017 by gwendolynkiste. Yes, that headline is indeed true. Next year, I will be taking the big, thrilling jump into the novel world with my debut, The Rust Maidens. Seriously. This is going to be a reality. 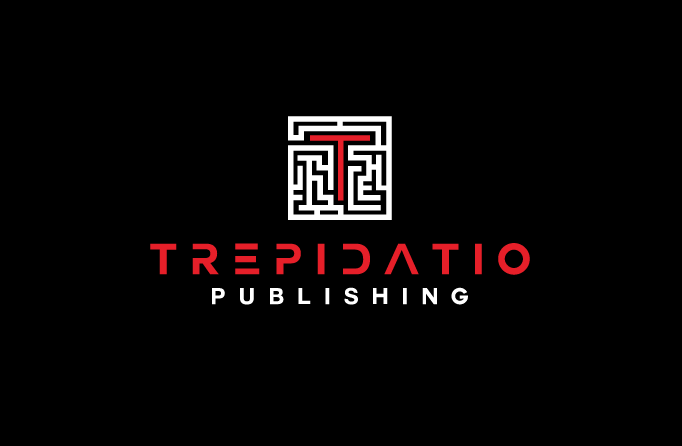 As if having a novel isn’t awesome enough, The Rust Maidens will be released through Trepidatio Publishing, a division of JournalStone. After the fantastic process of putting together And Her Smile Will Untether the Universe, I couldn’t be happier to work with both JournalStone and editor Jess Landry again. It’s an honor, a privilege, and a dream come true as a writer. The Rust Maidens delves into all the horror territory I love best as a reader and writer. There’s body horror, there’s coming-of-age, there’s a bevy of girls who are monstrous and dangerous and incredibly powerful. It’s also at once a love note and a poisoned pen letter to my Rust Belt roots, both the good and the bad of my home state of Ohio. It’s a very personal story, and one that readers will hopefully find very, very creepy. Anyhow, let’s get down to it with the official description for The Rust Maidens! Something’s happening to the girls on Denton Street. It’s the summer of 1980 in Cleveland, Ohio, and Phoebe Shaw and her best friend Jacqueline have just graduated high school, only to confront an ugly, uncertain future. Across the city, abandoned factories populate the skyline; meanwhile at the shore, one strong spark, and the Cuyahoga River might catch fire. But none of that compares to what’s happening in their own west side neighborhood. The girls Phoebe and Jacqueline have grown up with are changing. It starts with footprints of dark water on the sidewalk. Then, one by one, the girls’ bodies wither away, their fingernails turning to broken glass, and their bones exposed like corroded metal beneath their flesh. As rumors spread about the grotesque transformations, soon everyone from nosy tourists to clinic doctors and government men start arriving on Denton Street, eager to catch sight of “the Rust Maidens” in metamorphosis. As the neighborhood withdraws from the attention and paranoia permeates the crowded split-levels, Phoebe and Jacqueline band together with the other unchanged girls, all of them as terrified they’ll be the next to change as they are terrified they’ll be the only girl left behind. But even with all the onlookers, nobody can explain what’s happening or why—except perhaps the Rust Maidens themselves. Whispering in their untrimmed backyards, they know more than they’re telling, and Phoebe realizes her former friends are quietly preparing for something that will tear their neighborhood asunder. Alternating between past and present, Phoebe struggles to unravel the mystery of the Rust Maidens—and her own unwitting role in the transformations—before she loses everything she’s held dear: her home, her best friend, and even her own body. This entry was posted in Book Promotion, Fiction and tagged JournalStone, The Rust Maidens on July 17, 2017 by gwendolynkiste. Welcome back! 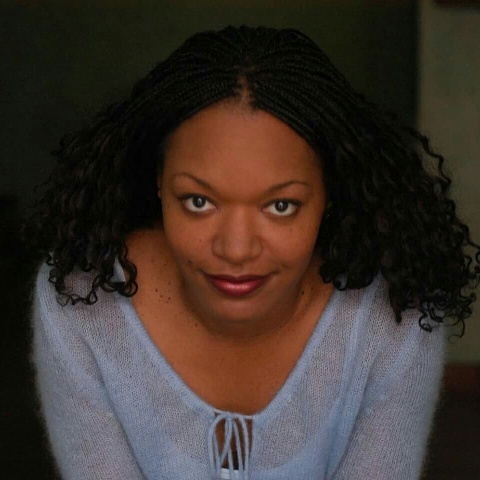 Today, I’m thrilled to feature author and actress Denise Tapscott. Denise is the writer of Gypsy Kisses and Voodoo Wishes, the first book in The Zenobia Tales series. Her books, Enlightening of the Damned and Lotus Flowers of the South, are both forthcoming. Recently, Denise and I discussed her inspiration as a writer, the role that her favorite cities play in her work, as well as her artistic plans for the future. I became an unofficial writer when I was in high school. During the summer months, I would have insomnia. I thought a smart way to use my time was to write a gangster story. It never saw the light of day, but writing helped get through the sleepless nights. I also had an English teacher who was very impressed with my work in writing exercises she gave us; she used to bring samples of my work to workshops she attended. I officially became a writer in 2009 after Michael Jackson died; it made me realize that if I suddenly died the next day, no one would know the stories that bounced around in my head. My favorite authors are Stephen King, Eden Royce and Jim Butcher. Your first novel, Gypsy Kisses and Voodoo Wishes, debuted earlier this year, and you have two more novels forthcoming. What is your process when writing a book? Do you spend a lot of time in the planning/researching stages before you start writing, or are you more of a “dive right in” writer who researches and develops organically as you go? My process when writing a book is a bit between diving right in, and outlining. Usually a character will speak to my heart or an experience in real life will spark a story. From there I make a basic outline (so that I have some focus) and then I do research as things come up organically. In addition to your writing, you are also an actress. How did you get involved with acting, and have you found that your acting impacts your writing (or vice versa)? I have always done some kind of acting. My mother used to tell me about how when I was around 5 years old, I played one of the children at the holiday party in The Nutcracker Suite. My sister and I did community theater at a summer camp with an emphasis on the Arts. Our little play was called “The Mindbenders and the Stargazers”. I didn’t pursue acting seriously until I was in college. Acting definitely impacts my writing. As an actor you have the freedom and tools (thanks to a writer) to bring characters to life. Its exciting as a writer to create the characters that perhaps some day an actor will bring to life. You say in your bio that you left your heart in San Francisco and left your soul in New Orleans, which is a really beautiful sentiment. How have the places you’ve traveled or where you currently live impacted your writing? Are there any places you’re eager to write about that you haven’t incorporated into your work yet? Visiting New Orleans has had a huge impact on my writing. 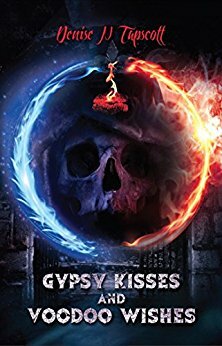 I like to think Gypsy Kisses and Voodoo Wishes is like a love letter to that city and its culture. Each and every time I visit that city (and I try to visit every year) I learn something new. Sometimes, in the moments when I’m kinda stuck with a character or plot, vivid memories will pop up and break through the hole I got myself stuck in. One example is the food that comes up in my novel; I kept casually mentioning certain dishes, like gumbo. One of my beta readers really wanted to know more about the actual dish, not the fact that the characters had dinner. Remembering how much I loved eating gumbo at one of my favorite places on Bourbon Street, I decided to fly to New Orleans and do some research. I was so inspired to make gumbo sound authentic that I took a cooking class at The New Orleans School of Cooking. My gumbo came out pretty tasty, and I learned how to make a few other dishes. As for other places I’m eager to write about that I haven’t incorporated into my work yet? I’d say France. Without revealing any spoilers for my next book, I could certainly do a great deal of research in Paris. Which of the following is your favorite part of the writing process: developing characters, establishing setting/mood, or crafting dialogue? My favorite part of the writing process is developing characters. It comes from all the acting classes, workshops and seminars I took in the past. What are your creative goals for the next five years? My creative goals for the next five years would be to have two more novels published, possibly a collection of short stories, and shoot a movie based on a short story I’m currently working on. Speaking of current projects I’m working on, I’m polishing up a short story called “The Price of Salvation” and I’m working on the second and third installments of Gypsy Kisses and Voodoo Wishes. There are other characters that keep me up at night, so I also have to find their voices and craft their stories. I foresee a lot of travel coming up for research purposes. Research and more gumbo. Tremendous thanks to Denise Tapscott for being part of this week’s author interview series. Find her online at her website as well as on Twitter and Facebook! This entry was posted in Fiction, Interviews on July 12, 2017 by gwendolynkiste. Welcome to this month’s Submission Roundup! Today’s post has a ton of great opportunities for you fiction writers out there! As always, a quick disclaimer: I am not a representative for any of these publications. I’m simply spreading the word! Please direct any and all inquiries directly to the respective publications. 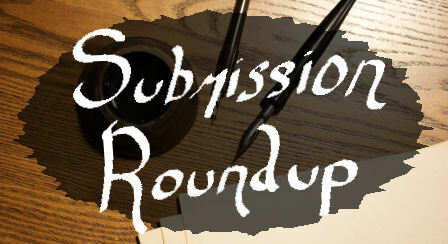 Now onward to this month’s Submission Roundup! What They Want: Original horror fiction with the theme of Halloween and/or classic monsters. What They Want: The Machine Intelligence Research Institute is seeking fiction about artificial intelligence. With very specific guidelines, be sure to check out all the relevant details before submitting. What They Want: Open to fantasy, science fiction, and horror fiction. What They Want: Part of Upper Rubber Boot’s Women Up to No Good series, the editors are seeking “creepy, seductive stories about the dark side of culinary life.” Authors must be female, non-binary, or a marginalized gender identity; diverse, female protagonists are encouraged. What They Want: The theme for Issue 4 is resistance to oppression, and all submissions should be in a progressive pulp style. This entry was posted in Fiction, Submission Roundup on July 3, 2017 by gwendolynkiste.